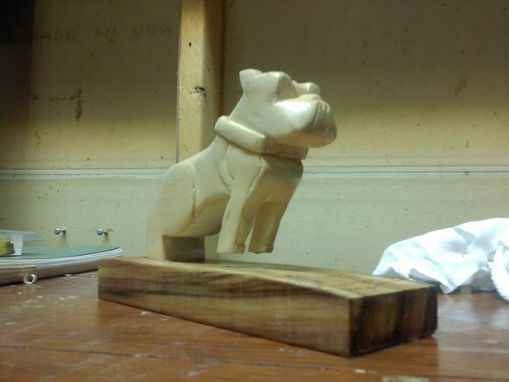 One of my first wood carvings. 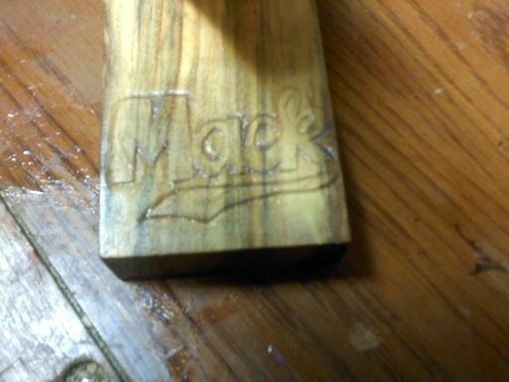 Done as a wedding gift for a friend. 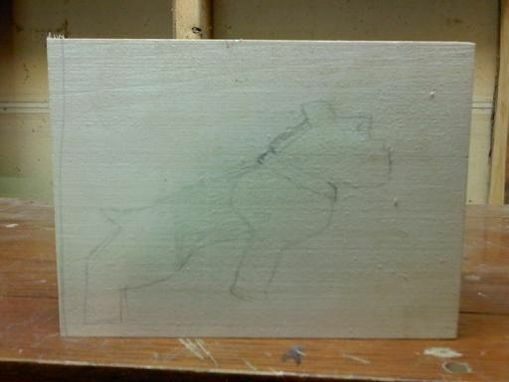 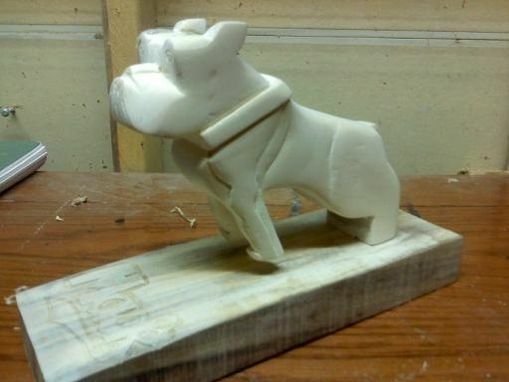 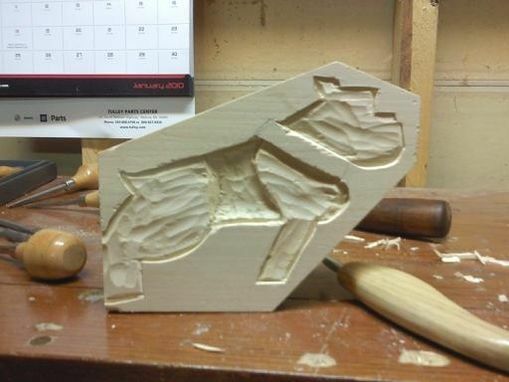 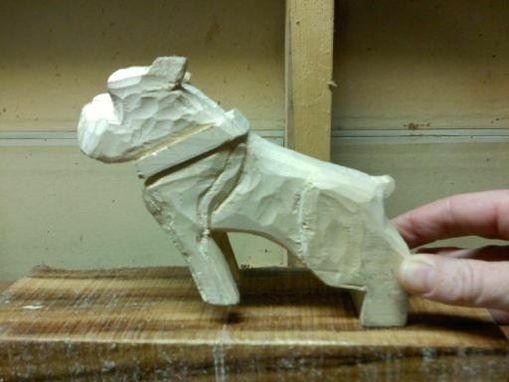 The dog is carved from Basswood and the base is Cebil.